Axis ROM Review for Galaxy S3! AT&T/T-Mobile/Verizon/Sprint/US Cellular/Metro PCS ~ AndroidRootz.com | Source for Android Rooting, ROMS, Tricks and More! 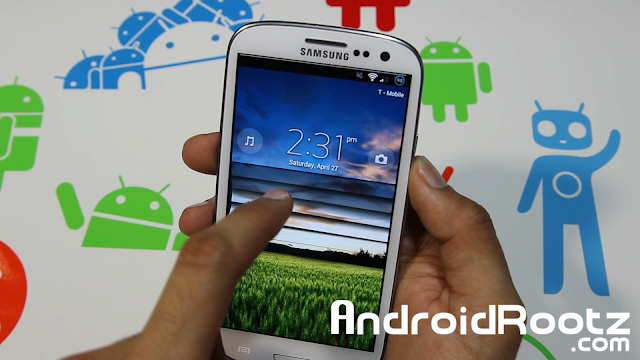 Today we're taking a look at Axis ROM for Galaxy S3 AT&T, T-Mobile, Verizon, Sprint, U.S Cellular, and Metro PCS. This ROM comes packed with a good amount of goodies for your Android phone! Some of my favorite parts of this ROM is the themed icons, white themed toggles, Galaxy S4 weather widget, and Galaxy S4 S-Voice. The most notable feature that I find really cool is the amount of lockscreens you can put on your Galaxy S3! You have the option to put XperiaZ, Sense 5, Blackberry, Galaxy S3, and many other types of unlock lockscreens looks to your phone! Note: Your model number may not be accurate, as long as your data, WiFi, and voice is working your fine!